Integrated mobile apps built and deployed in minutes. Worker facing mobile solutions, built and deployed in literally minutes that deliver huge reductions in workload, operational costs while creating clear improvements in quality and customer service. If you have problems with huge paperwork, damaging mistakes, missed opportunities, or massive overtime bills then read on. 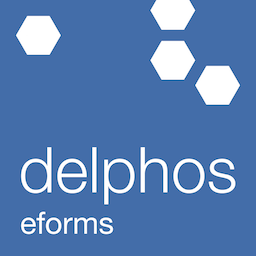 Using Delphos has made the report writing part of the TM44 Reporting process so much easier. Reports come together in minutes not hours and with the function to edit your answers, the time saved when working on a large portfolio of similar properties is huge!! Well done Delphos. Our success depends on you and so we have to make sure we support you on your own journey. We’ll help you to develop your ideas and create something that will make a real difference to your organisation. What makes us truly different is we’ll come and brainstorm, build, or deliver training onsite with your team. There are applications in every sector with huge efficiency savings for any organisation that gathers data and uses it for compliance, business development, operations, or production. Eliminate manual data entry and processing to reduce process costs by 50% or more. Automate processes for even greater savings. In-app validation and auto-generated content create consistently high-quality data. Fewer typos, less editing, and more consistent results. Plan and push tasks and instructions to users in the field and track progress. Improve workflow and approvals with inter-user process steps. Join a growing community of dynamic organisations who use the Delphos platform with amazing success. Without the inherent complexity of traditional development, our platform provides a very cost-effective alternative. Simple and open pricing plus a flexible approach to building and deploying your mobile solutions makes us the ideal choice for growing businesses. Find Out More.